The use of milk in skincare goes as far back as the great pyramids of Egypt, when Cleopatra used to immerse in milk to keep her skin soft and feeling smooth. These days, filling a whole tub full of milk is not cheap, but you can still enjoy the same great effects – albeit on a smaller scale by applying milk only on your dry areas. For this, regular or even powdered milk works, but if you have it, I recommend whole milk – it’s best for skin since it contains the most fat. Whole cow or goat milk works fine either way. What it does: Gently softens dry and mature skin. How to do it: Apply whole milk to the delicate eye area. Let it sit for 15-30 minutes. Wash off thoroughly. (If you have dry skin all over, apply it as a mask.) Its important to rinse your skin cleanly since milk breeds bacteria if its left on skin. So use it fresh, apply it as needed, then make sure to wash it all off. 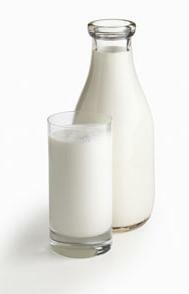 Why it helps: Whole milk contains natural fatty acids that moisturizes and softens skin. Milk of Magnesia is magnesium hydroxide, which is an alkaline. This neutralizes excess acid on skin that causes blemishes. It also disinfects and absorbs oil very well. True, milk is a great AHA (lactic acid) treatment which is a great exfoliant and helps minimize wrinkles and dry skin HOWEVER, ladies please read! MILK in the TUB will also cause YEAST INFECTION (too much sugar in Milk for bathing in it) instead, add some (powdered milk ok too) to you r body wash and AVOID the vaginal area, or put some whole milk on a cotton ball and use as a facial cleanser to get youthful, glowing skin without having to buy a $200 cream! Just found this site, browsing around, liking a lot. However small yet very important info left out. It was GOAT’S MILK which Cleopatra bathed in and has been used historically for skin mostly because it has twice the medium chain fatty acids as cow’s milk and more lactic acid. Very good tip for dry skin…………..